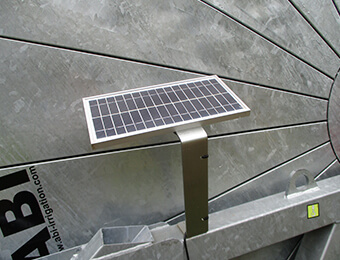 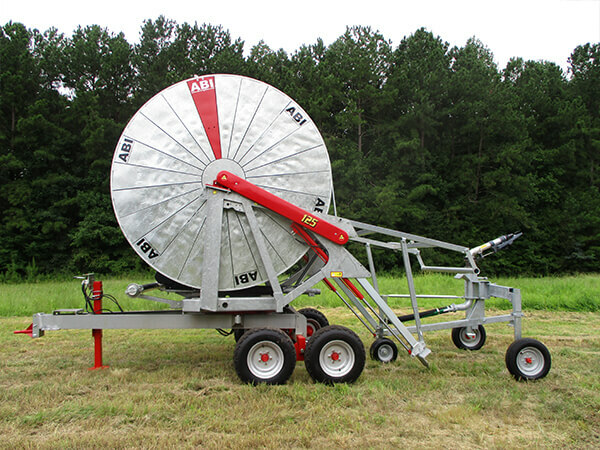 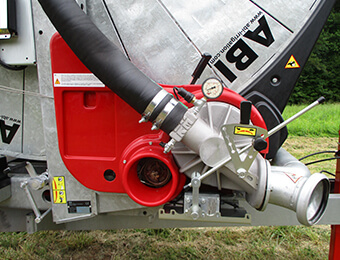 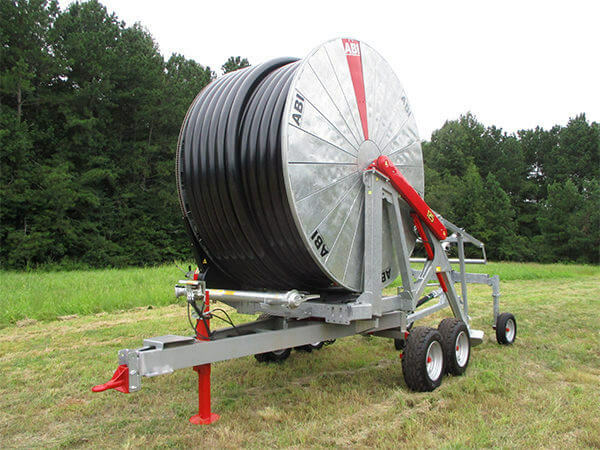 Covering 9.7 to 12.4 acres per pull the GX890 traveler has been introduced to provide an economical answer to agricultural irrigation by combining accurate, low cost hose reel irrigation with a simple and efficient drive system. The 4-speed gearbox can achieve speeds of over 325 feet per hour to give a light application of water to delicate crops making the GX Series a versatile irrigation traveler. 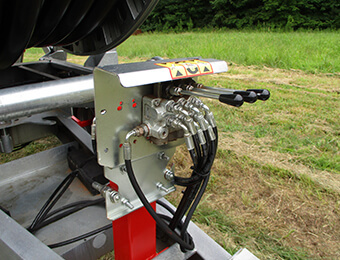 GX machines all have accurate speed compensation with digital speed read-out and clock. 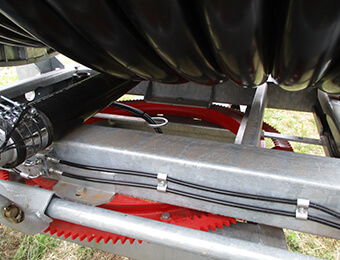 Hydraulic turntable bearing for ease of rotating machine. 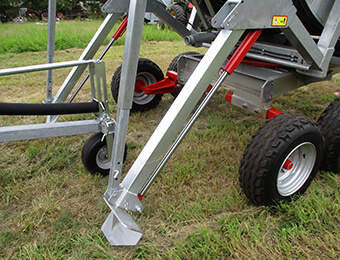 Galvanized chassis and drum frame for extended life and durability. 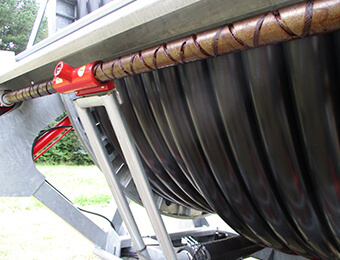 Scroll type hose guide for accurate winding up of hose. 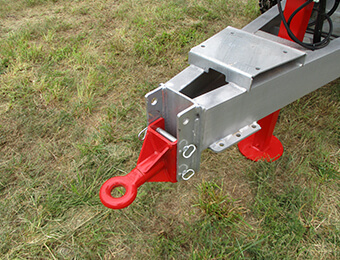 With galvanized forks for long life. 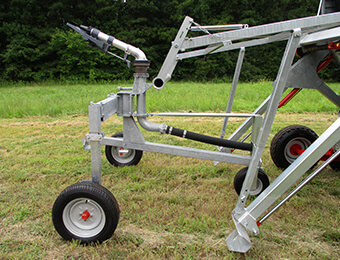 Hydraulically powered including stabilizer legs, turntable and jack. 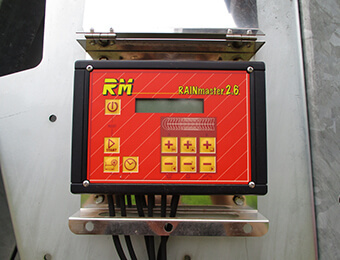 The Rain Master 2.6 computerized programable tachometers are simple to use keeping accurate speeds, shut-off and tracking of hose length and timing of the end of cycle. 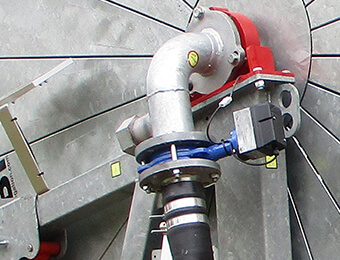 Automatic shut-off valve to close off pressure and shut down pumping system at end of cycle. 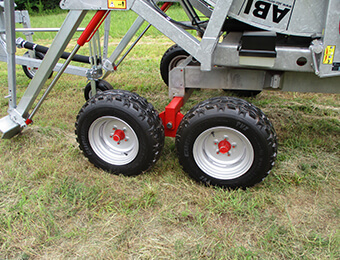 Floating double axle to give additional stability and ease of transport over difficult terrain. 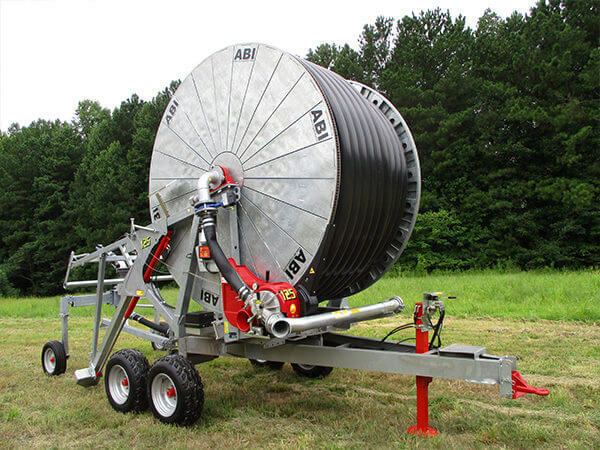 View 125gx1312 Series Hose Reel Performance (pdf) NOTE: Acreage is based on 1" application, 15 hours a day, 7 days a week. 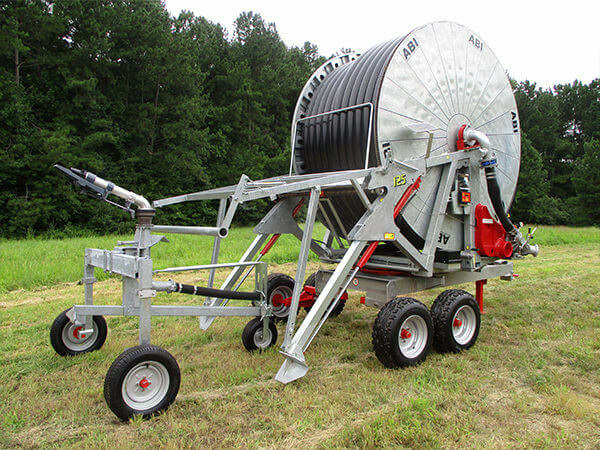 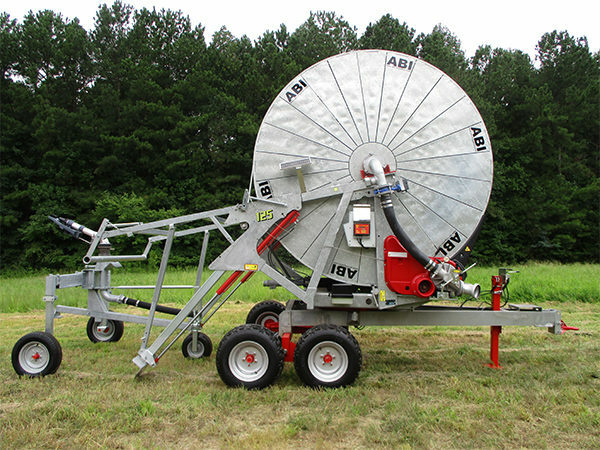 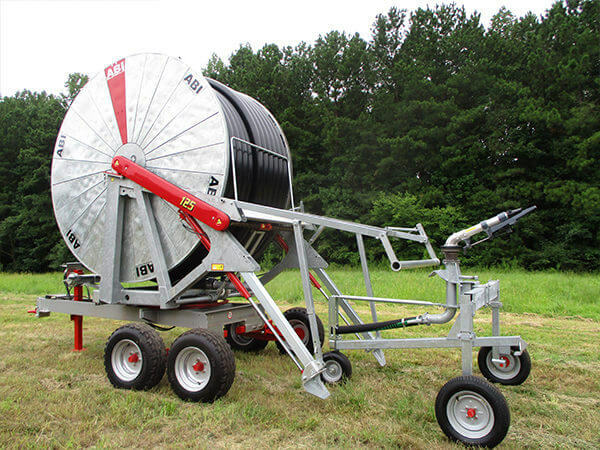 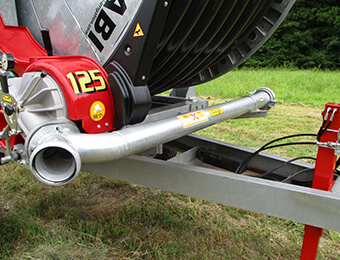 View 135gx1250 Series Hose Reel Performance (pdf) NOTE: Acreage is based on 1" application, 15 hours a day, 7 days a week.